Sir Henry Cole of England is credited with instigating the first mass-produced Christmas greetings cards in the 1840s. 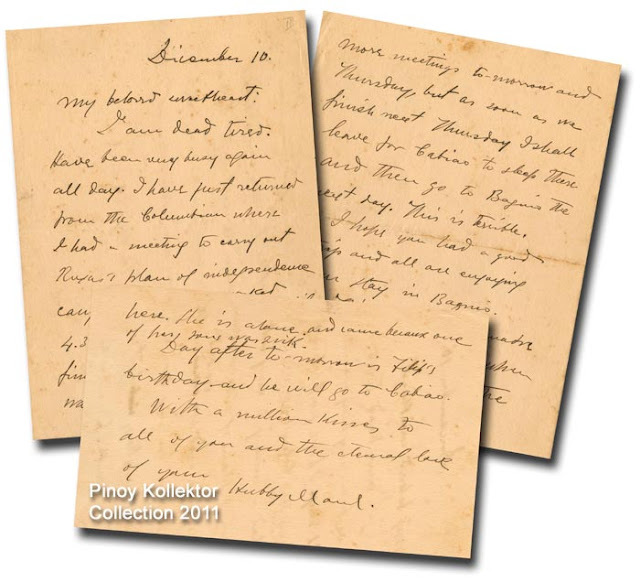 He commissioned a friend of his, John Calcott Horsley, an artist, to produce a thousand handmade cards for Cole to distribute to his friends. John Horsley, created a three paneled card; one panel depicting a happy family celebrating at a Christmas feast with the panels on either side illustrated with poor and hungry people. 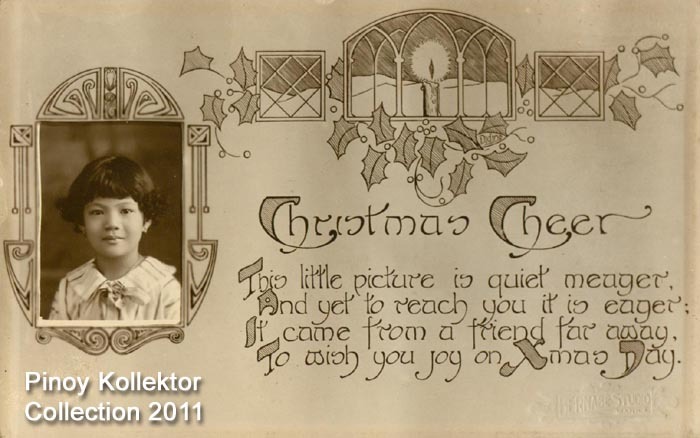 The sentiment was simple, "A Merry Christmas and a Happy New Year to You". 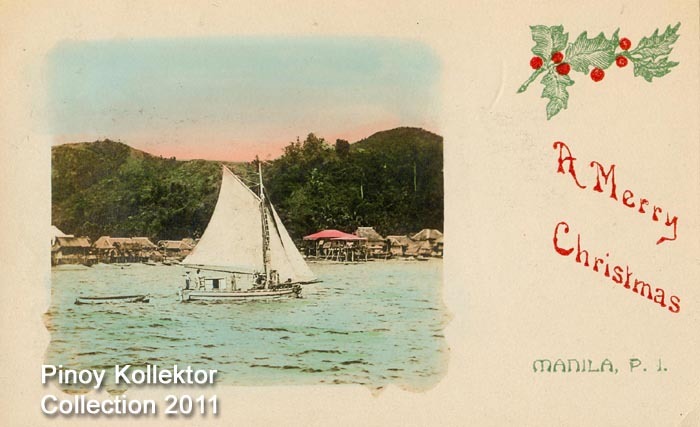 While Christmas cards have been used to share holiday greetings since the 1840s most collectors agree that the golden years of postcards were between 1900 and 1920. 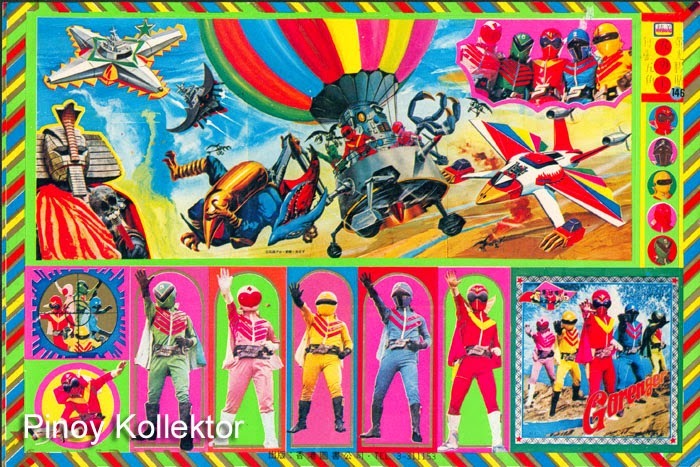 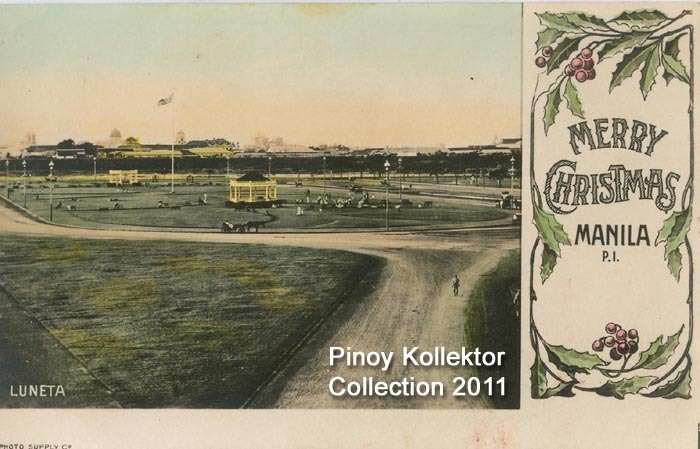 These are the most colorful, most interesting and most valuable of the holiday postcards. 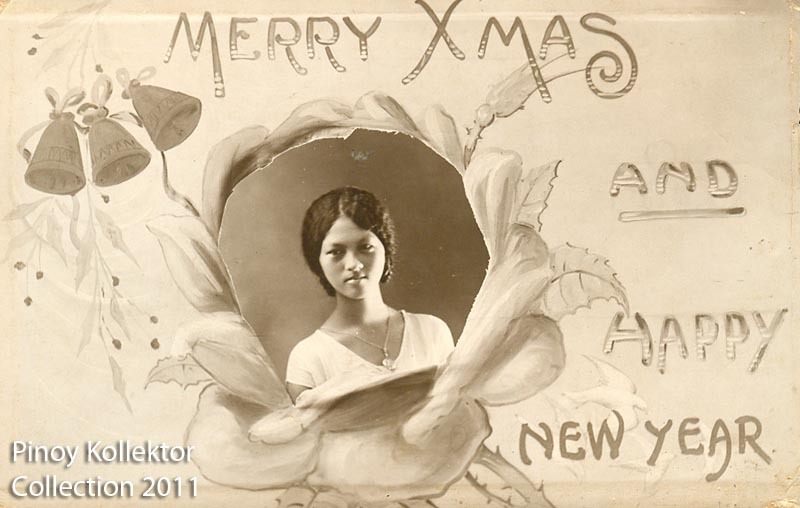 Collecting vintage Christmas postcards is a fun hobby that can be enjoyed by anyone. 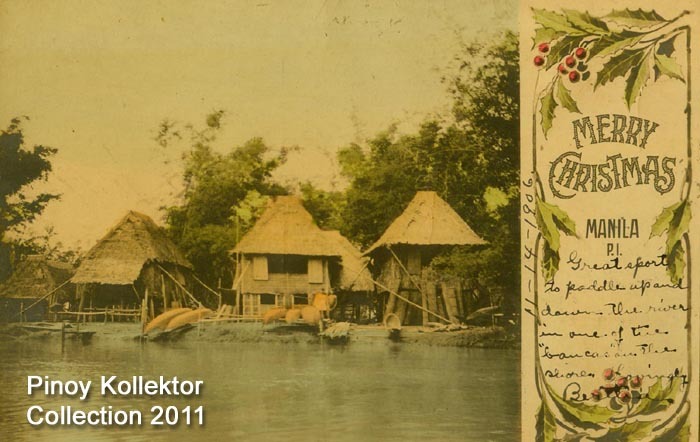 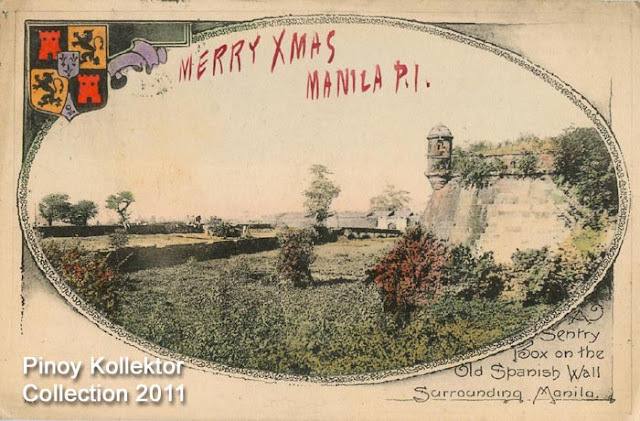 I basically collect vintage Filipiniana Christmas Postcards. I just really enjoy looking at them and reading the little notes that were written on them so long ago. 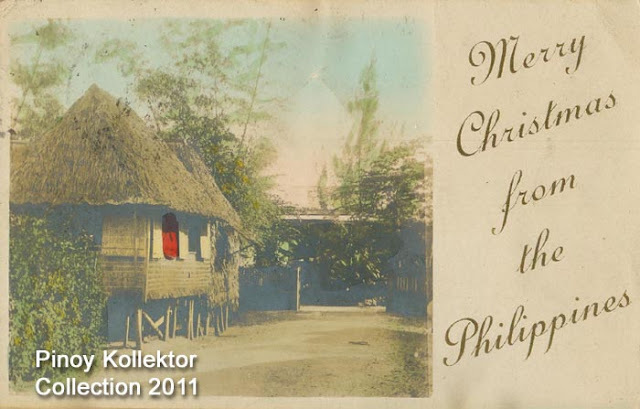 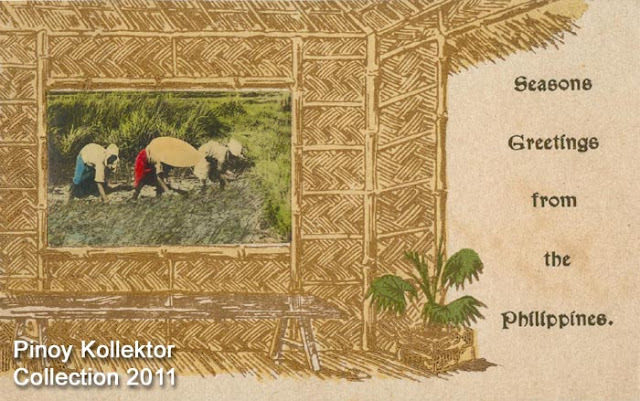 I also like the views of forgotten rural scenes being used as greeting cards. 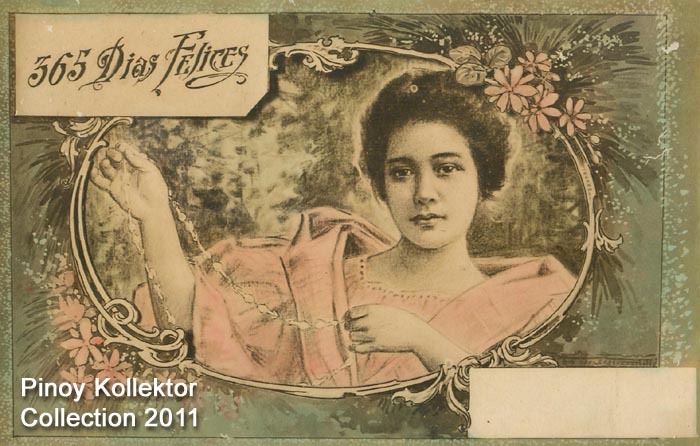 These Filipiana postcards are prized among collectors because of their beauty and unique artwork. 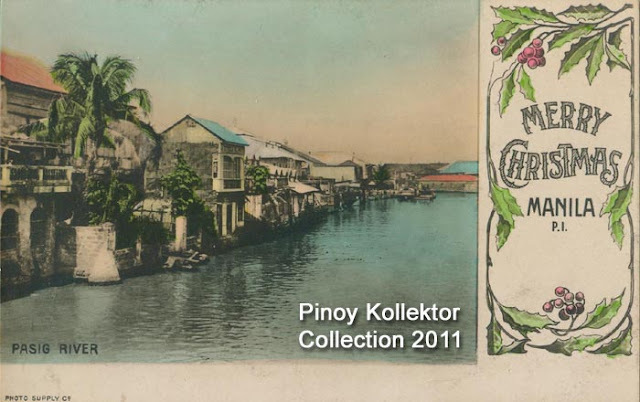 My best suggestion to you if you are just getting started collecting Christmas postcards is to choose the ones that you will really enjoy having over the ones that might be more valuable today. 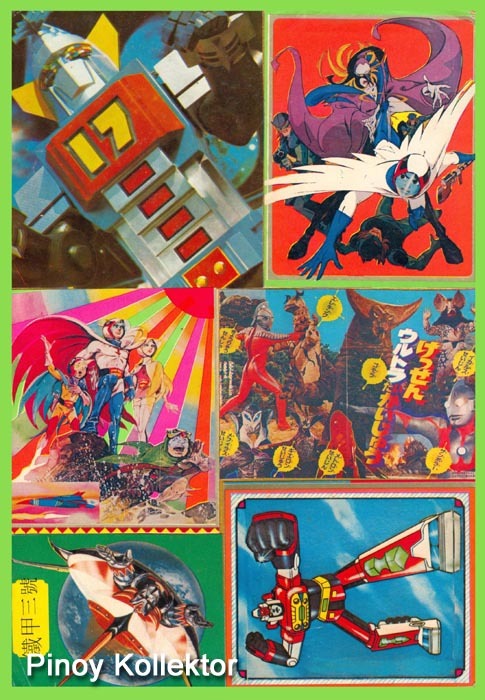 Collectible item values are funny. 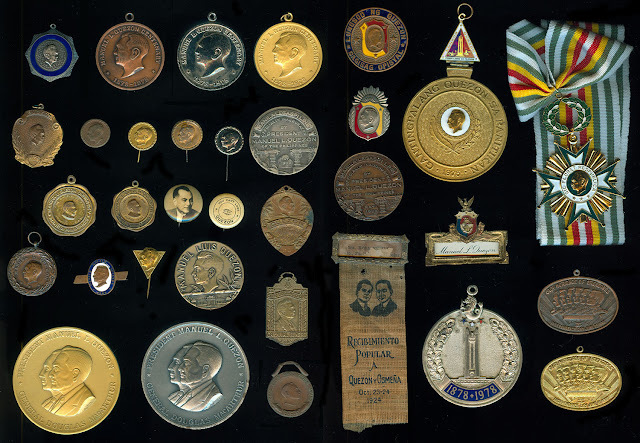 All collectibles are always only worth what someone is willing to pay for them. 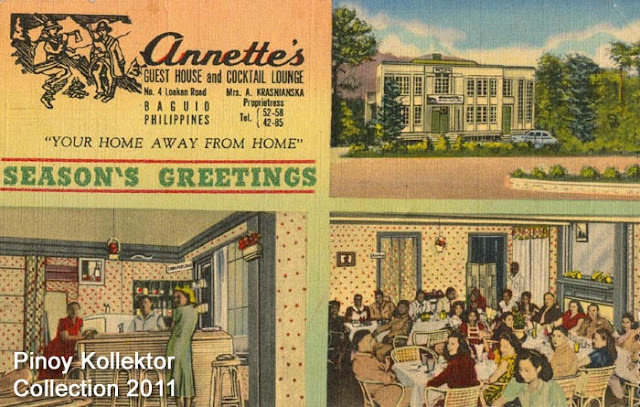 I've purchased just about all of my vintage postcards by way of eBay. By collecting Pres. 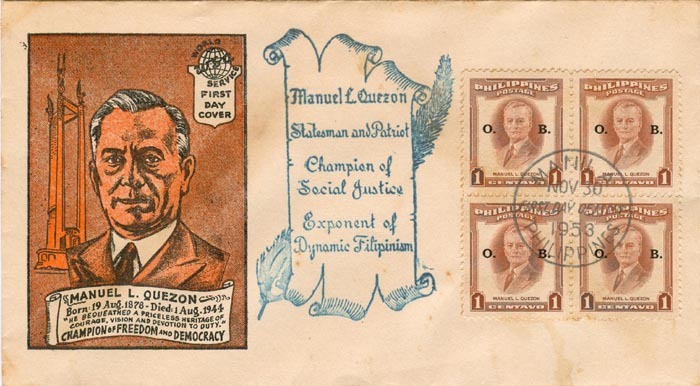 Quezon’s memorabilia I pay homage to this foremost statesman, patriot, and leader. 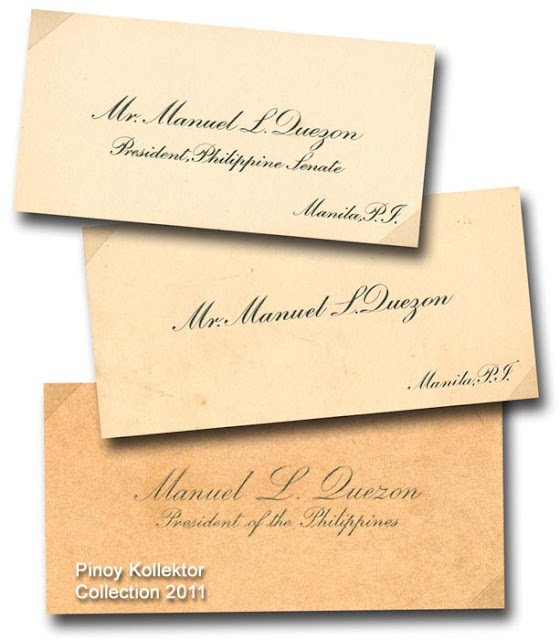 It is my hope that our people will continue to remember the great Pres. Quezon through these items, in the years to come and will forever bear in our mind his love for freedom and independence. 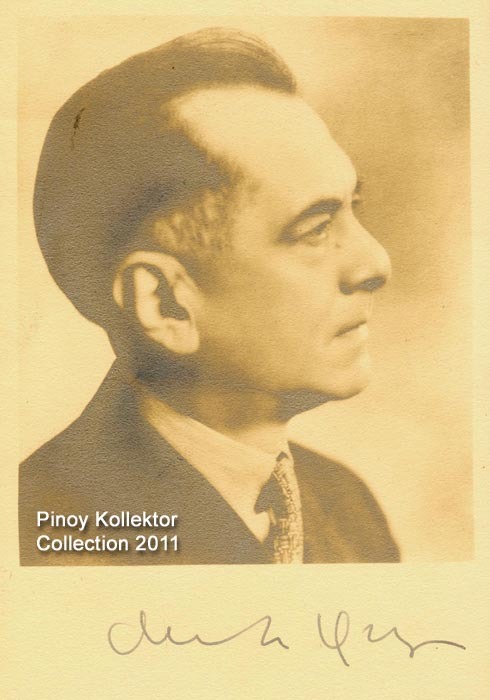 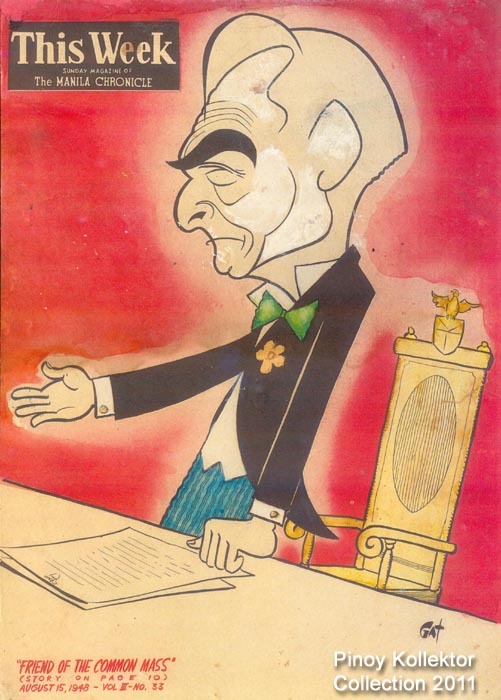 President Quezon left many important legacies to us Filipinos. Some of which worth mentioning were his courage in fighting for our freedom and independence in peace or war. 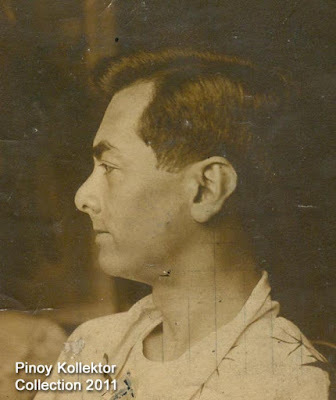 He was a brilliant young practicing lawyer; he strongly campaigned for Philippine independence in the U.S.A, he had wisdom in the performance of his duties and responsibilities as Senate President and subsequently President of the Philippines, he had a dynamic and inspiring leadership not only of his political party but also of the country, He was a passionate nationalist, he had unquestionable honesty and integrity as a public official, and he was very loyal and had total dedication to the welfare and happiness of his beloved Fatherland. We are heirs to the visions and struggles of Quezon and must protect our freedom that he fought for. 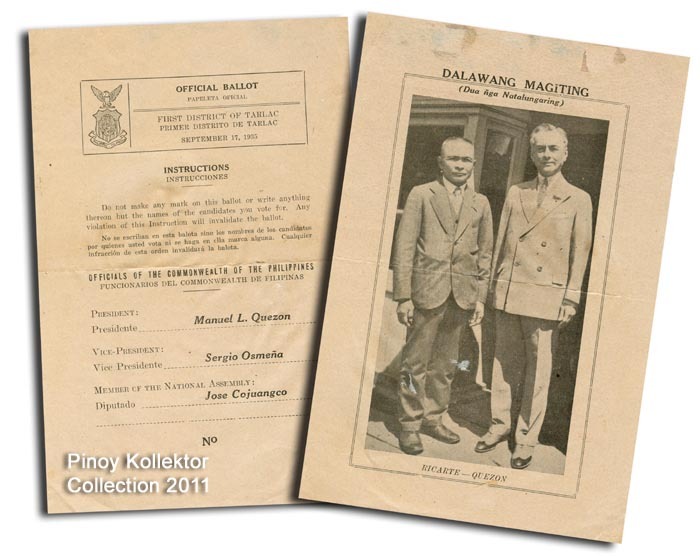 I hope that these memorabilia would inspire us and that we may lead a life just like our beloved President Quezon. 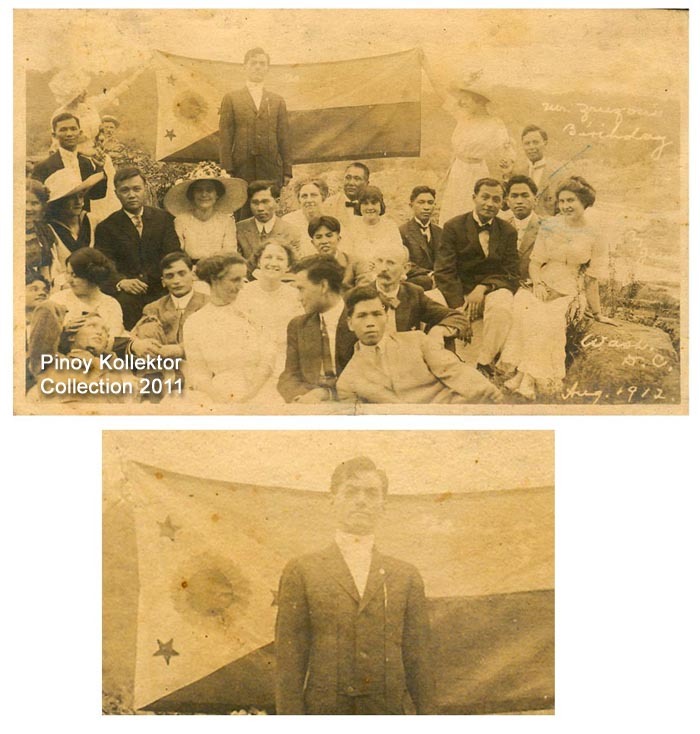 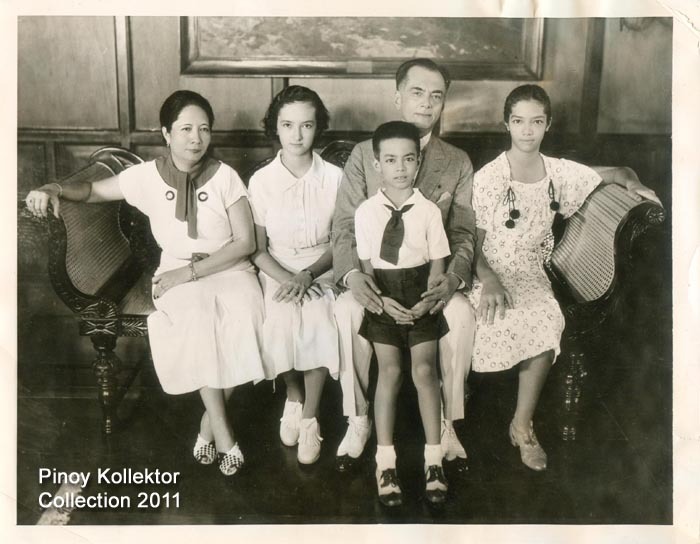 Real photo postcard of Manuel Quezon with Filipino expatriates in Washington D.C.
Pres. 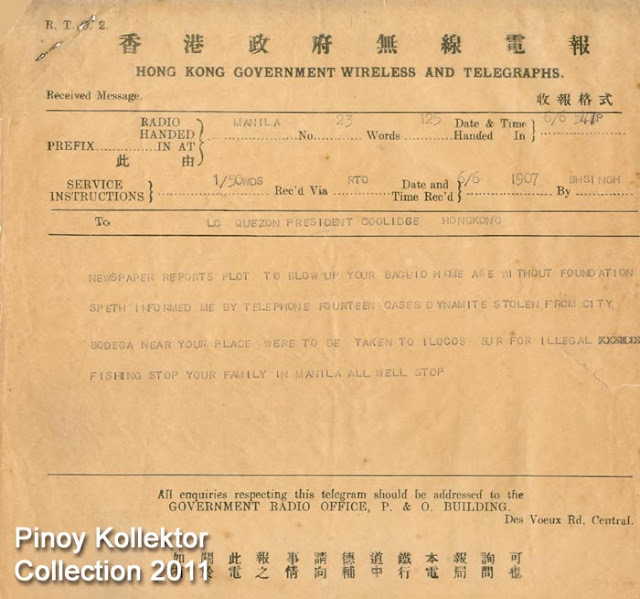 Quezon's letter to Aurora dated June 18, 1937. Written on Hotel Everglades Stationary. 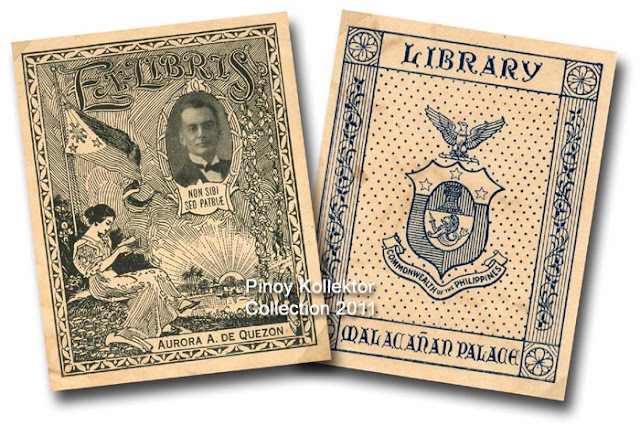 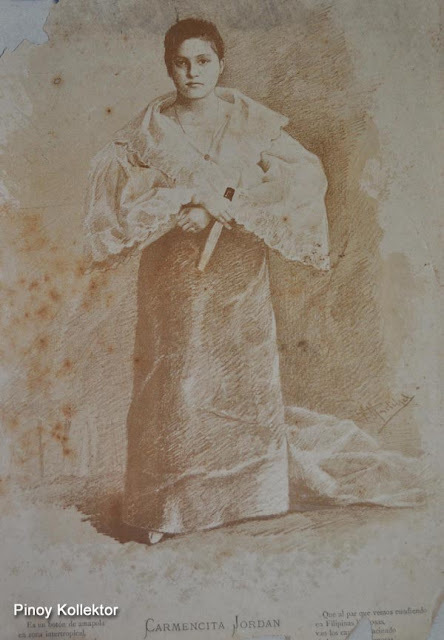 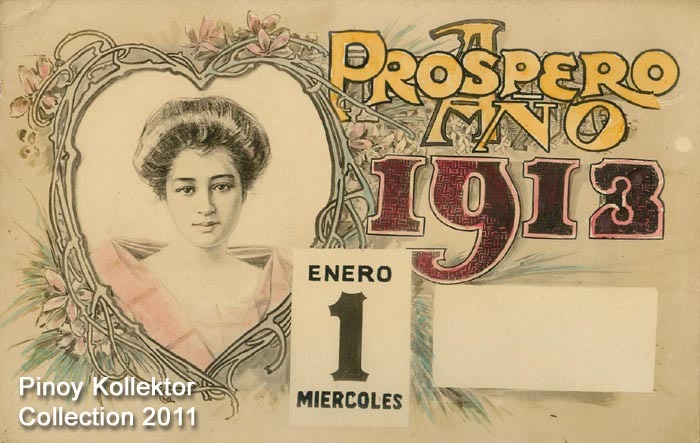 Mrs. Aurora Quezon's EX-LIBRIS, showing profile of the the late Pres. Manuel Quezon (Left). Real photo postcard of Manuel L Quezon, Sergio Osmena and a US Official. 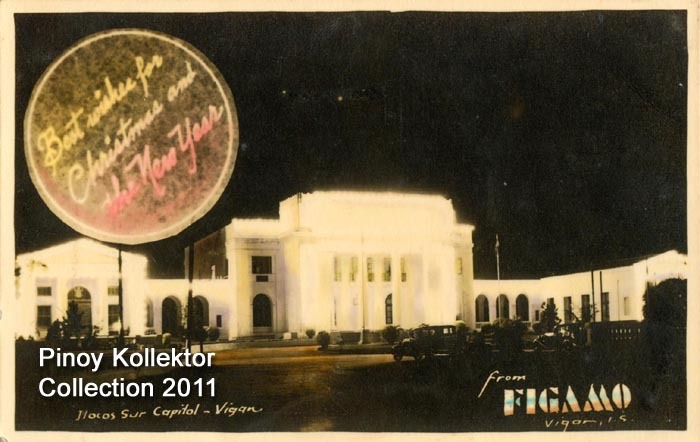 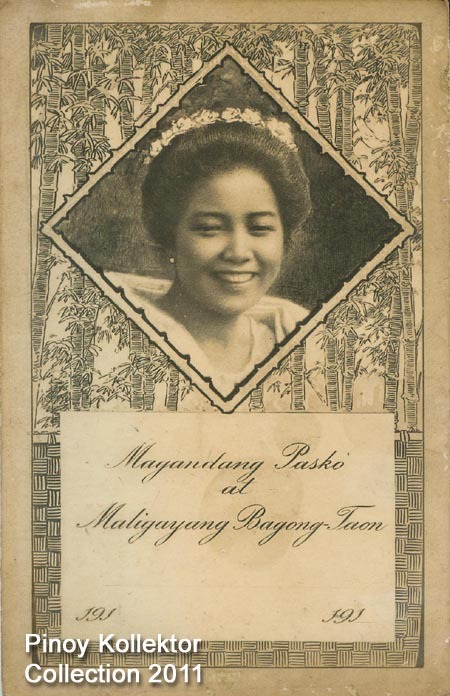 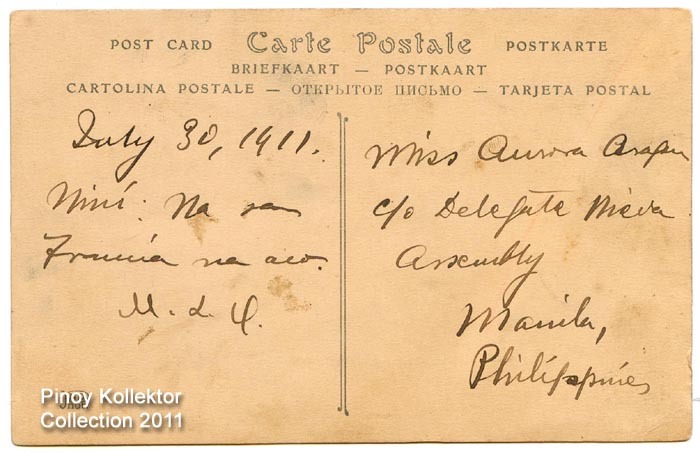 Postcard addressed to Miss Aurora Aragon (Later Mrs. Quezon) by then Philippine Assembly delegate Manuel L. Quezon. 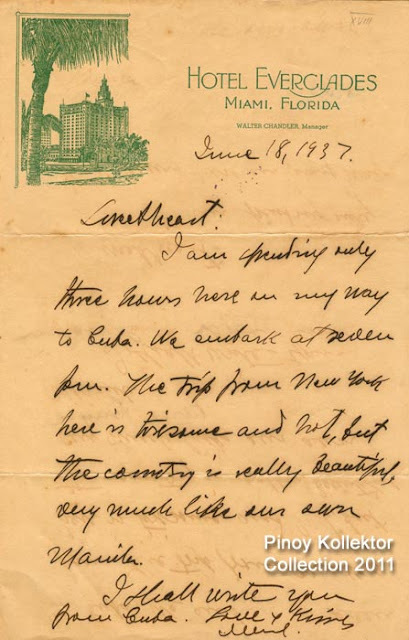 Dated July 30, 1911. 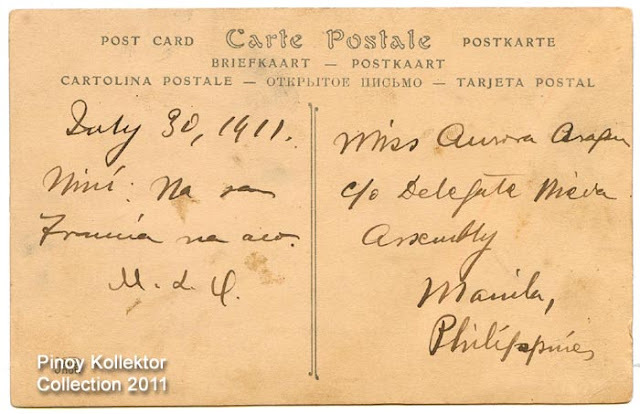 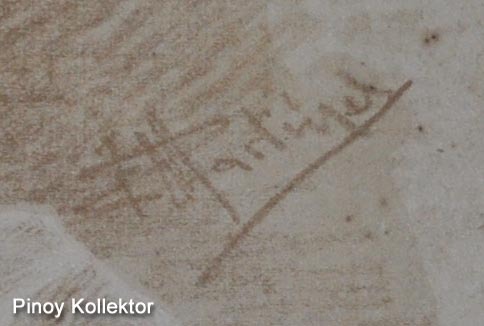 Quezon signed his initials M.L.Q. 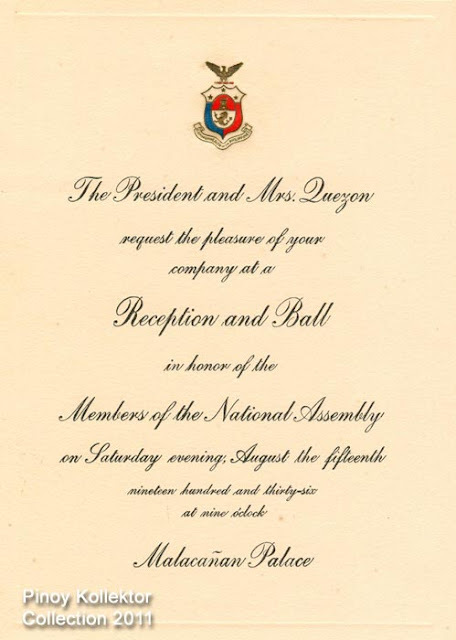 Signing of the 1935 Philippine Constitution by US President Franklin Roosevelt. 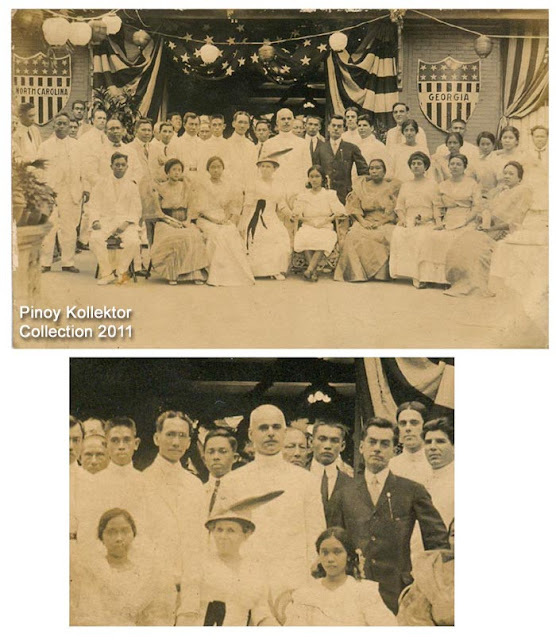 Together with Quezon are Filipinos and American who fought for Philippine independence. 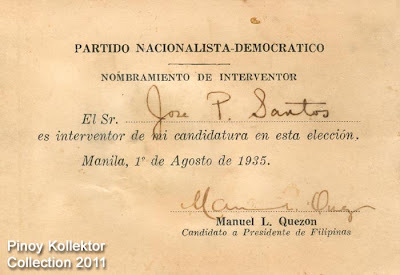 ID of historian Jose P Santos assigning him as Nombramiento De Interventor for the Partido Nacionalista-Democratico during the 1935 presidential election. Signed by Manuel L Quezon. 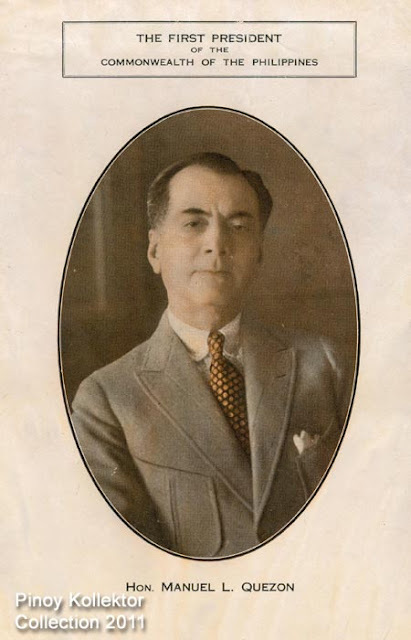 Banquet in Honor of Manuel L Quezon for his success in having the Jones Bill passed by the Congress of the United States. 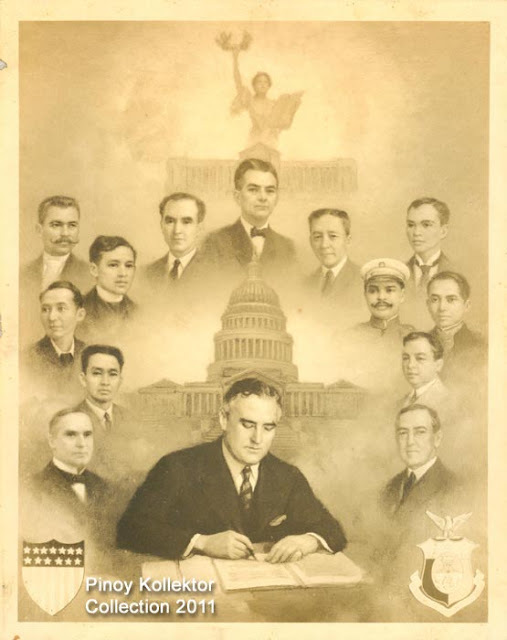 The Jones Bill provides that the grant of independence would come only "as soon as a stable government can be established", which gave the United States Government the power to determine when this "stable government" has been achieved. 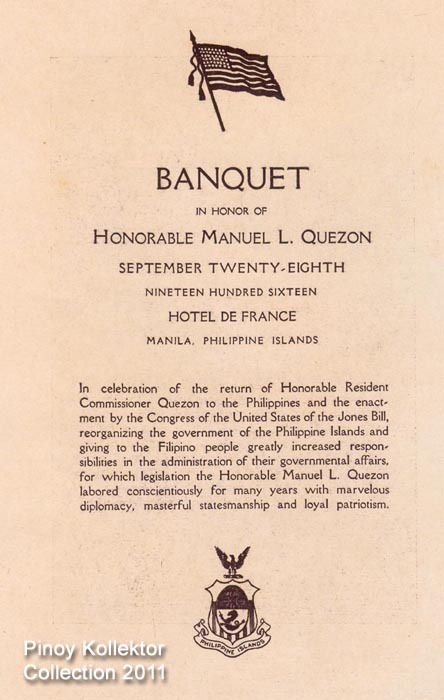 It aimed at providing the Filipino people broader domestic autonomy, though it reserved certain privileges to the United States to protect their sovereign rights and interests. These are lovely La Moda Filipina prints made by Filipino artist Felix Martinez . 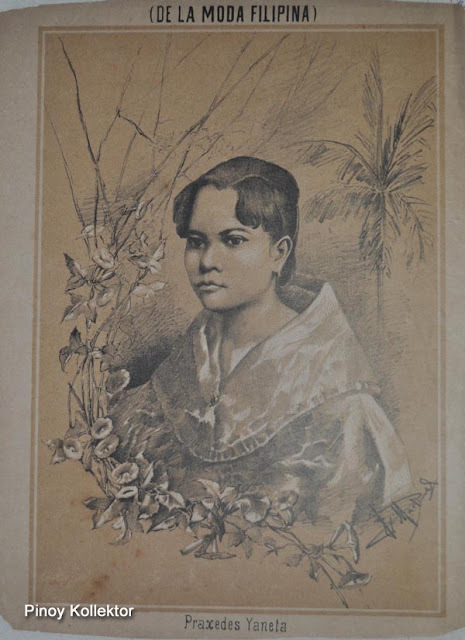 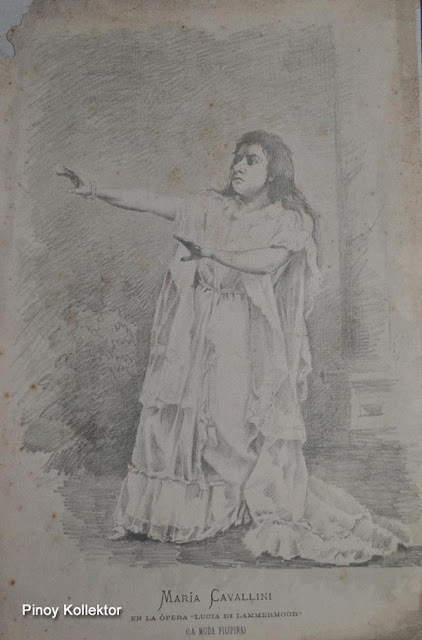 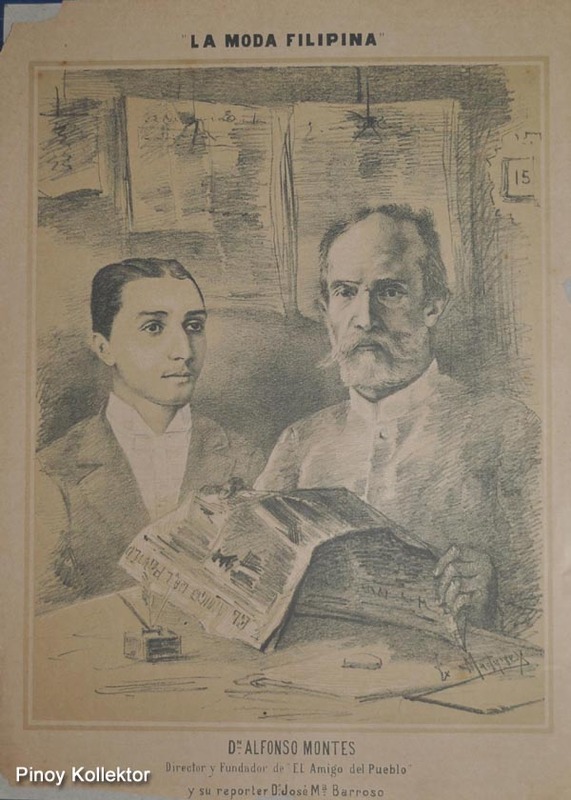 La Moda Filipina was a Spanish language periodical published in the Philippines during the late 19th century. Felix Martinez was a painter and muralist who created religious genre, landscape and still-life paintings. 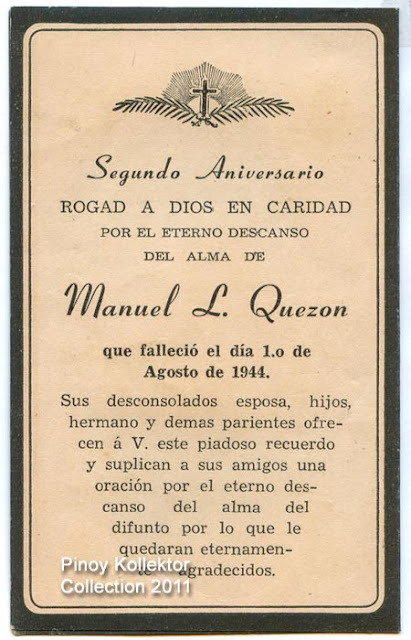 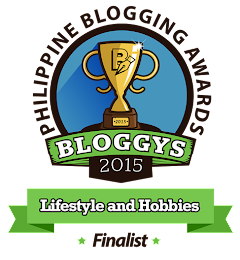 He was a contemporary of Simon Flores, Lorenzo Guerrero, Paz Paterno and her half-sister Adelaida Paterno. 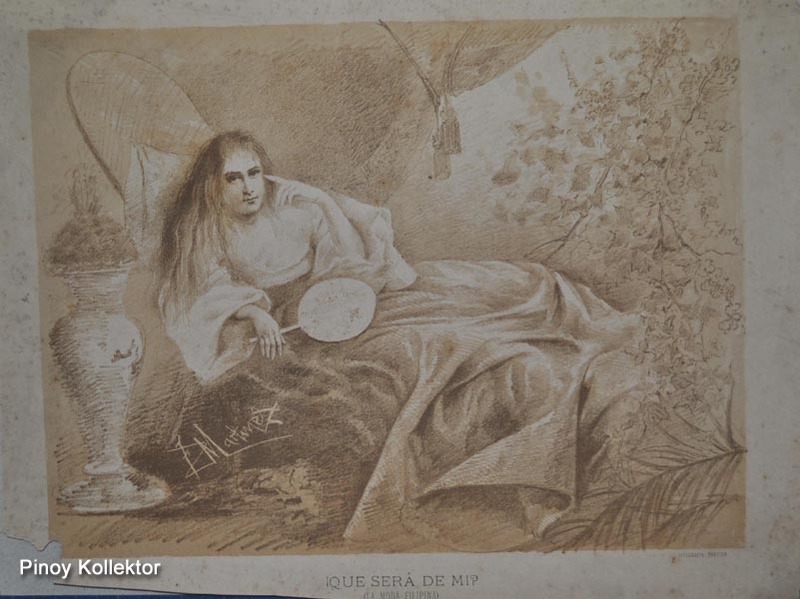 In the 1880's Felix Martínez was commissioned by the Jesuit order to paint transparent images of Jesuit saints. 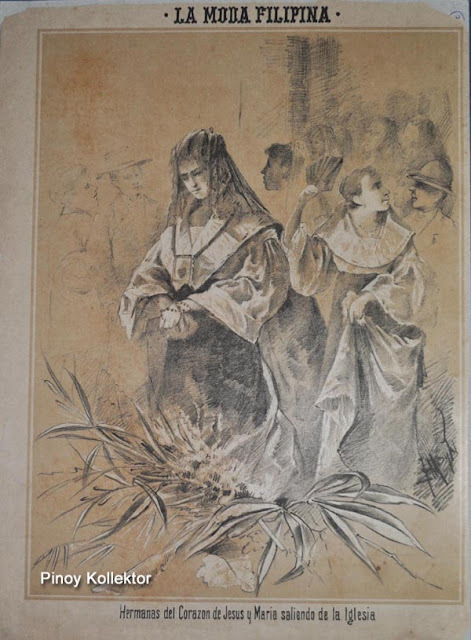 These images, now destroyed, which were mounted on the windows of the choir loft and illuminated from within, were displayed in the Jesuit church of San Ignacio. 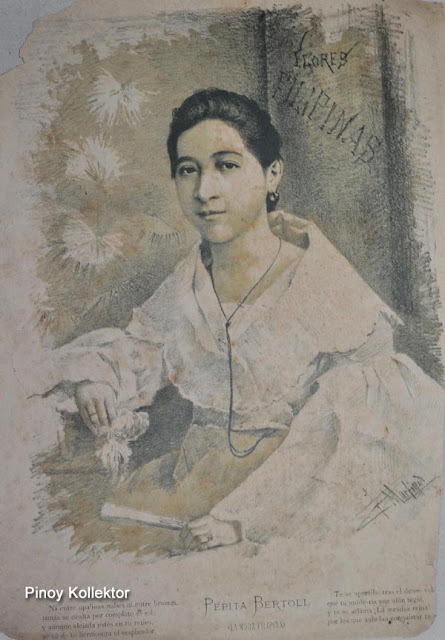 Felix Martínez also painted the interior of the San Sebastian church in Quiapo. 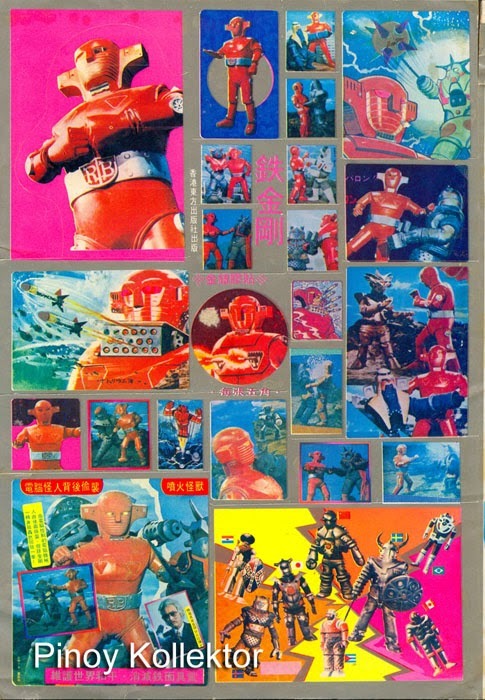 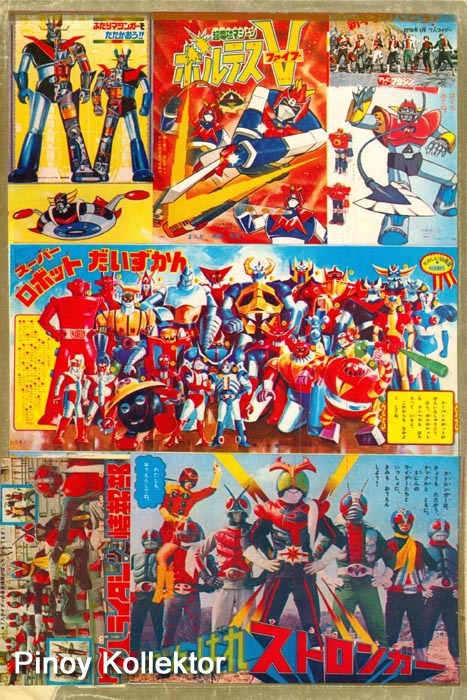 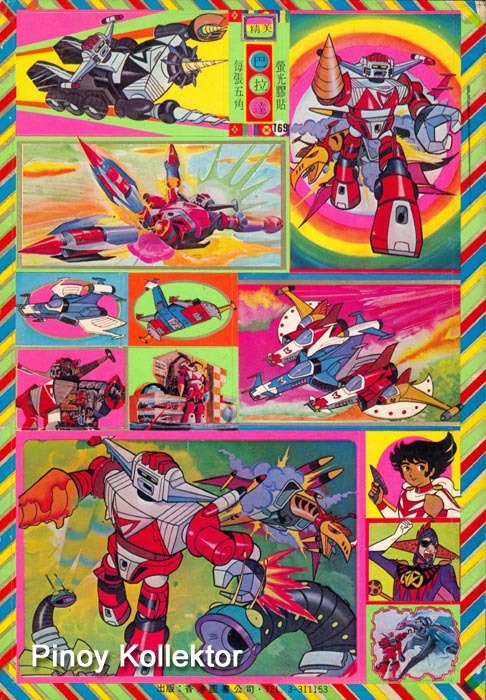 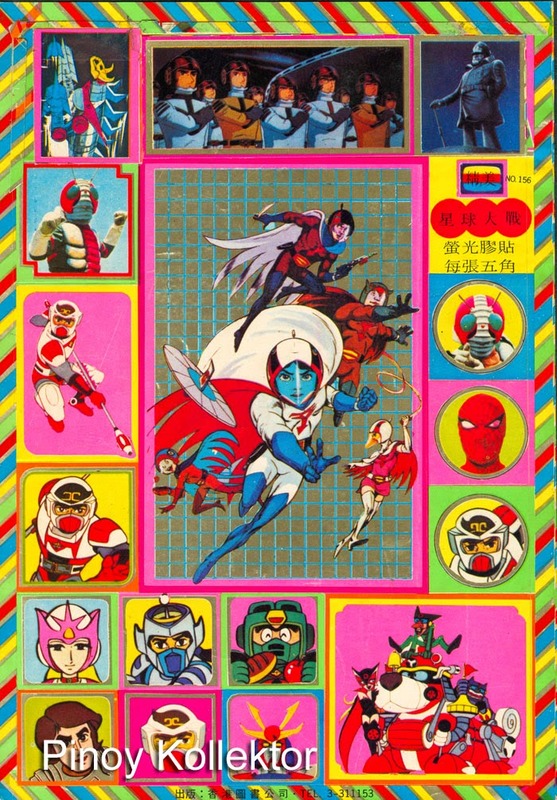 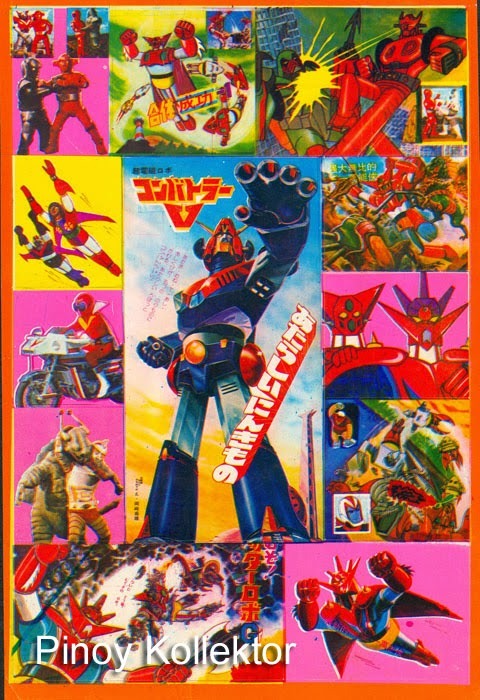 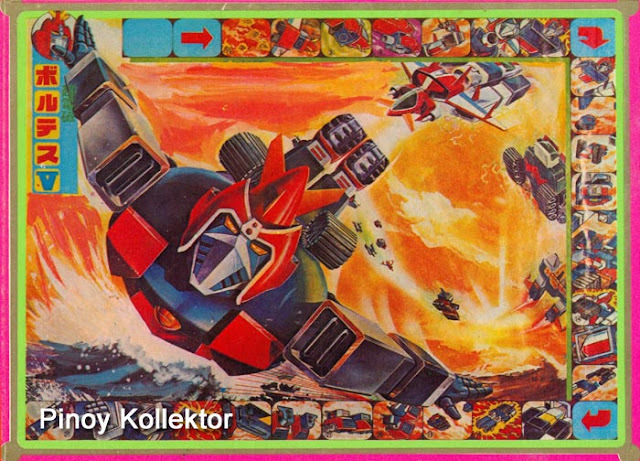 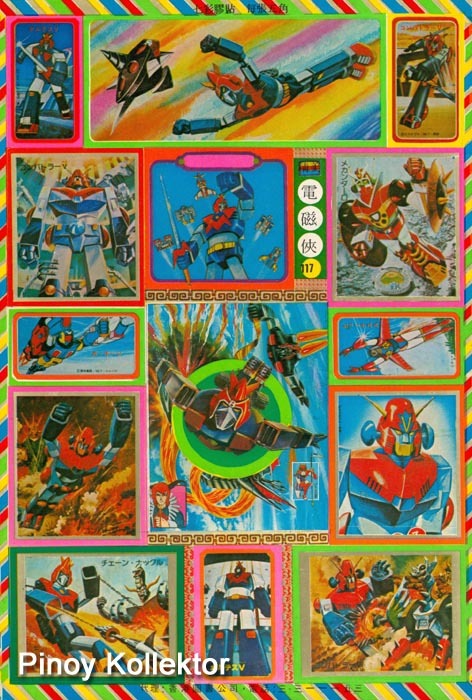 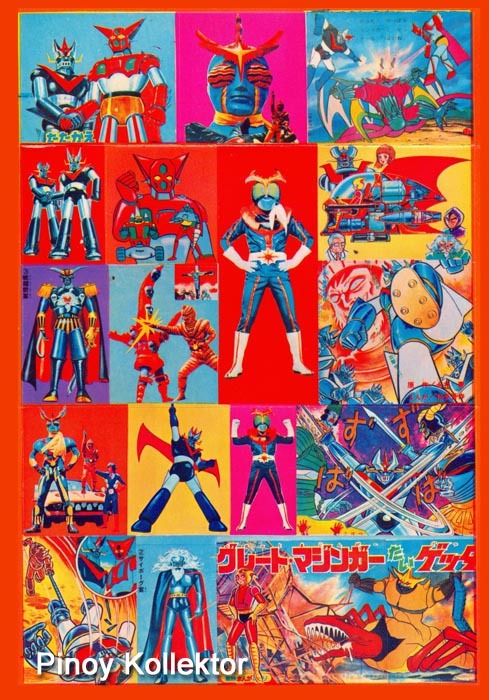 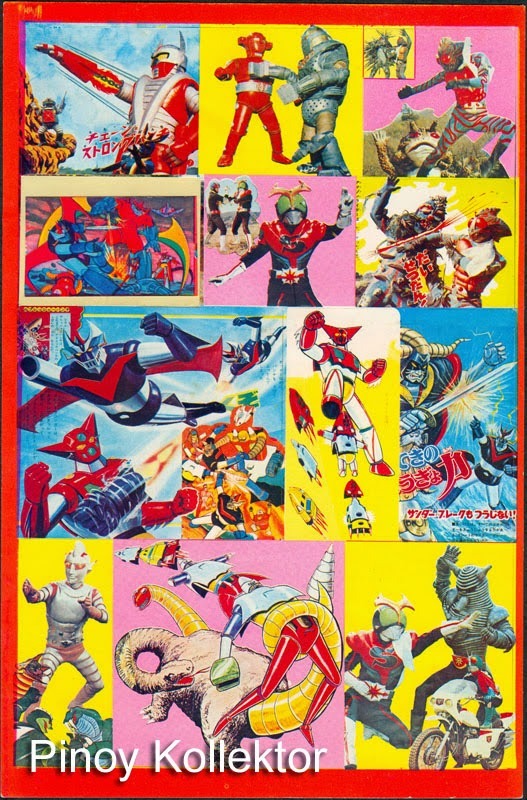 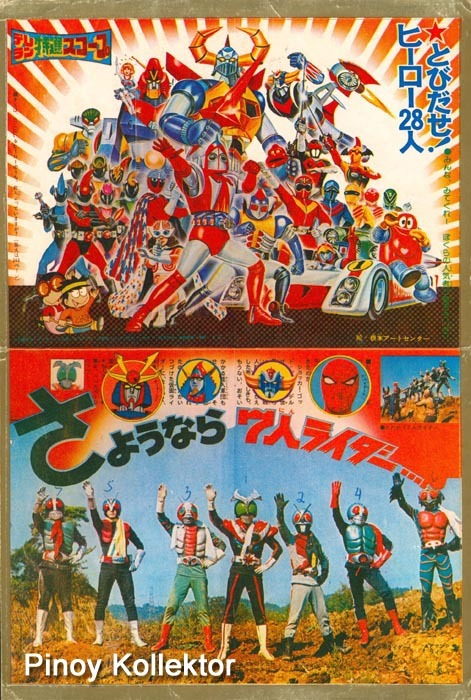 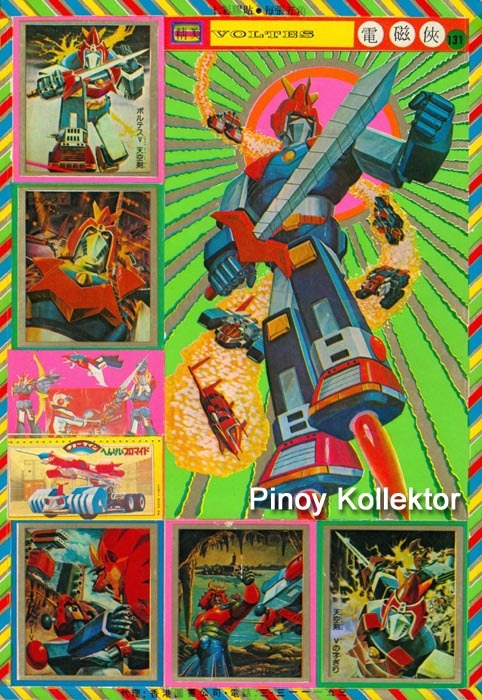 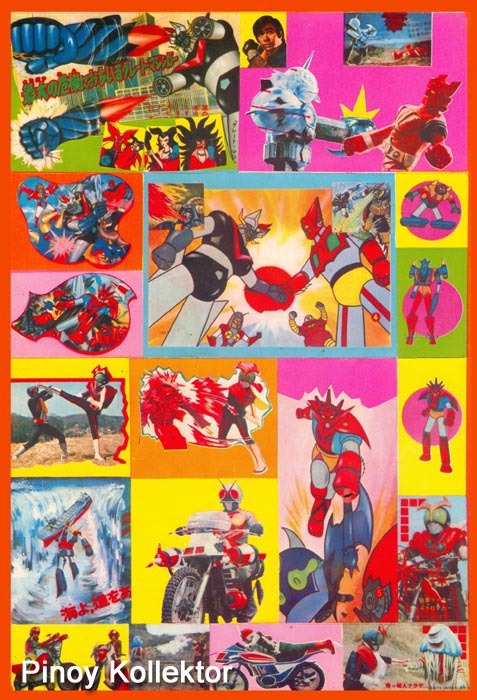 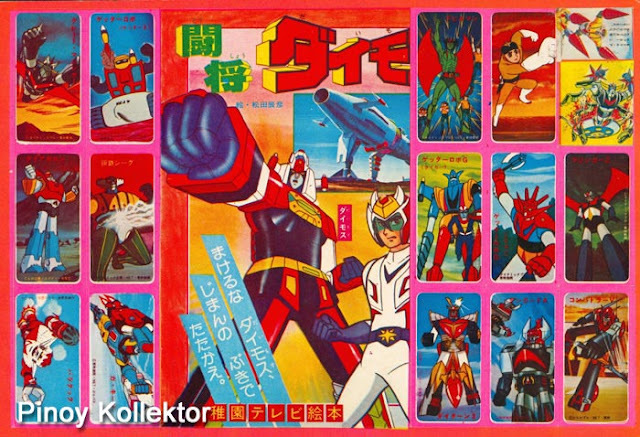 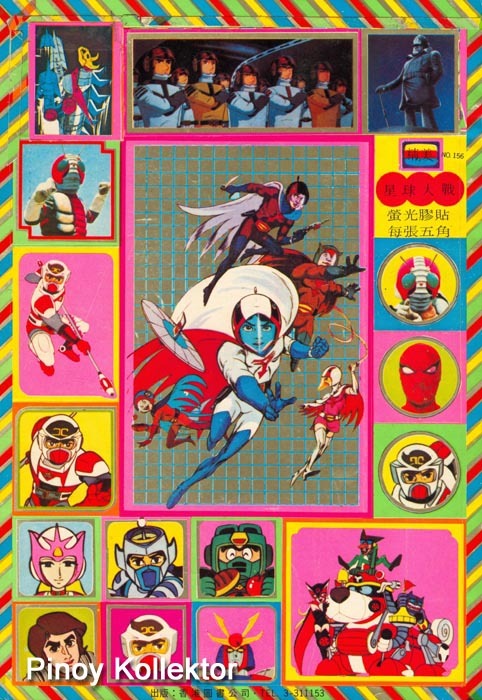 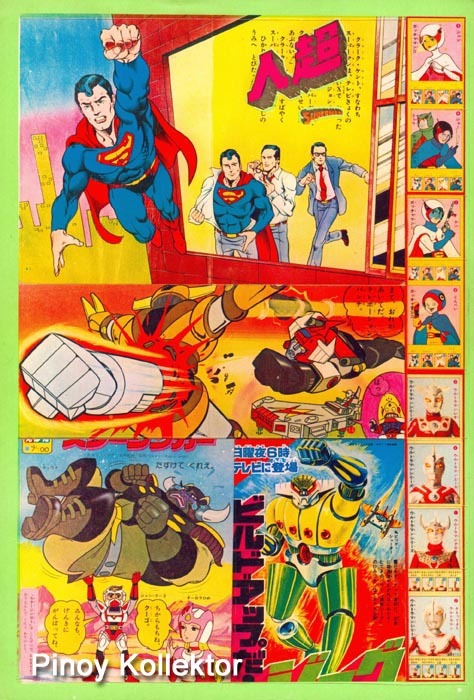 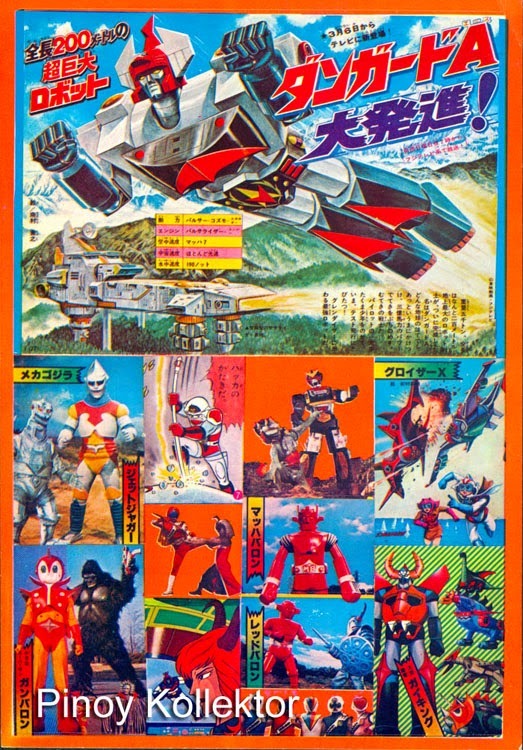 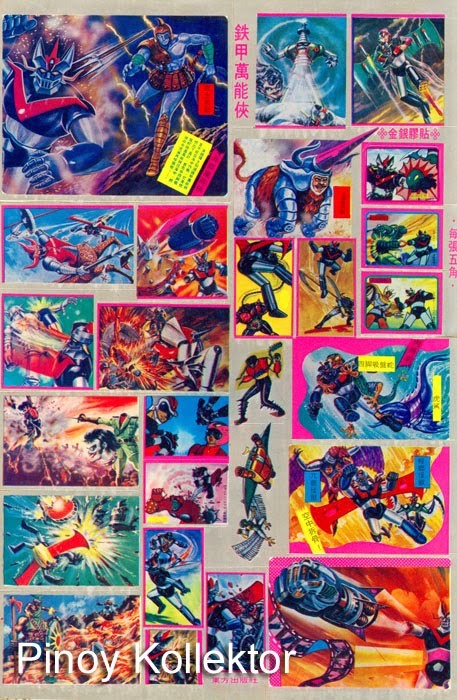 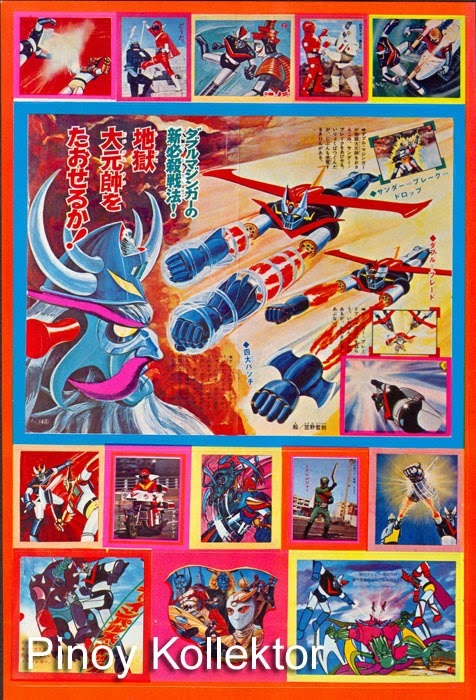 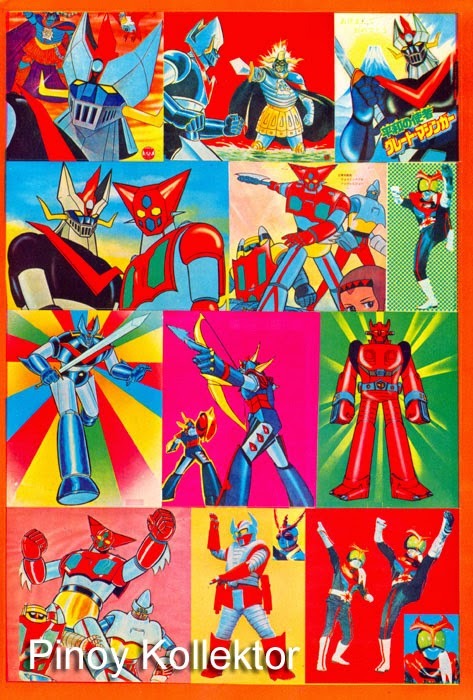 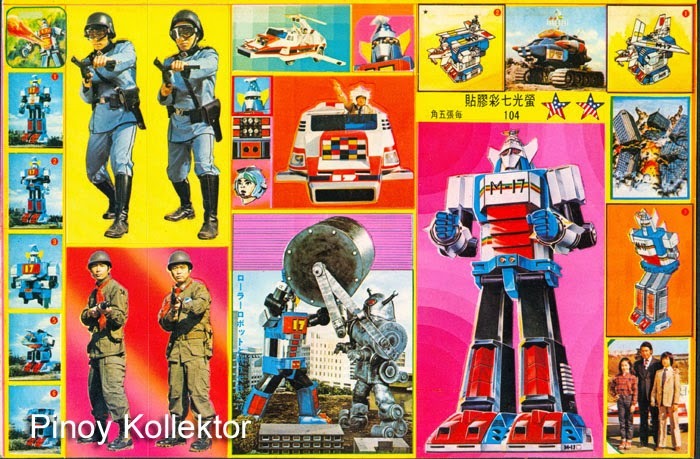 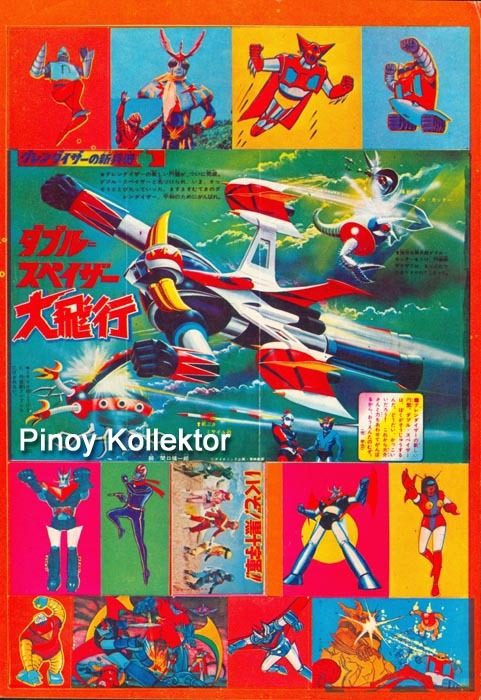 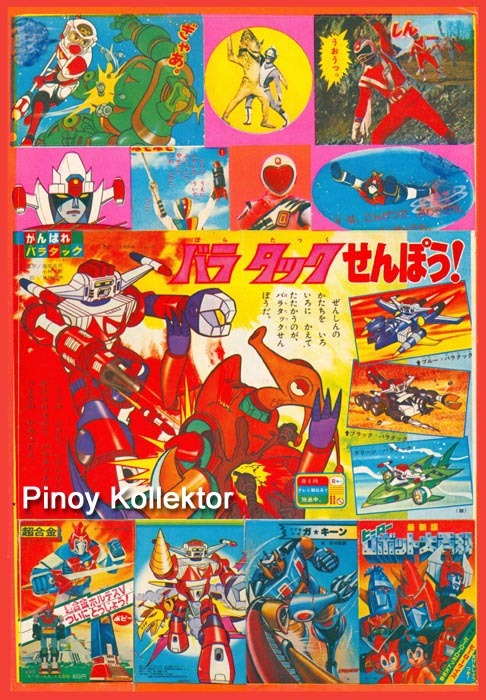 These Super Robot stickers became so popular from 1978 up to the early 80's. 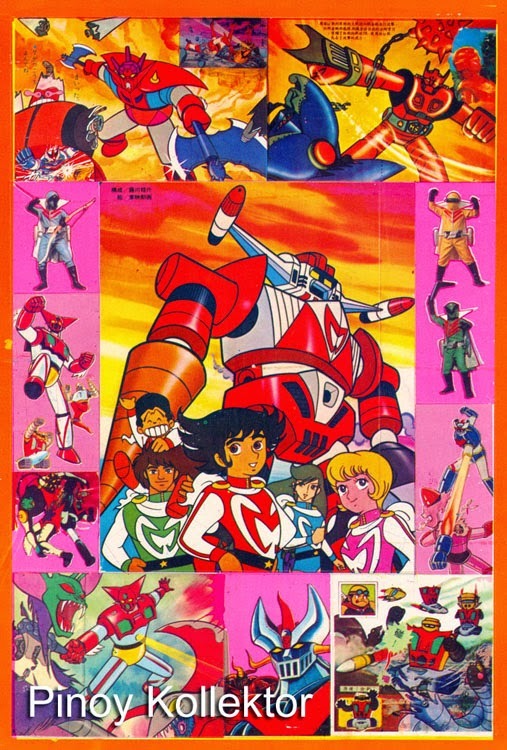 Every kid during those days would know very well these robot cartoons that were televised after school hours. 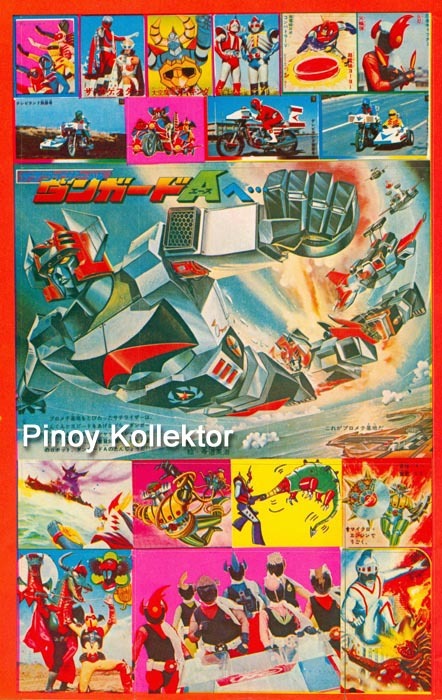 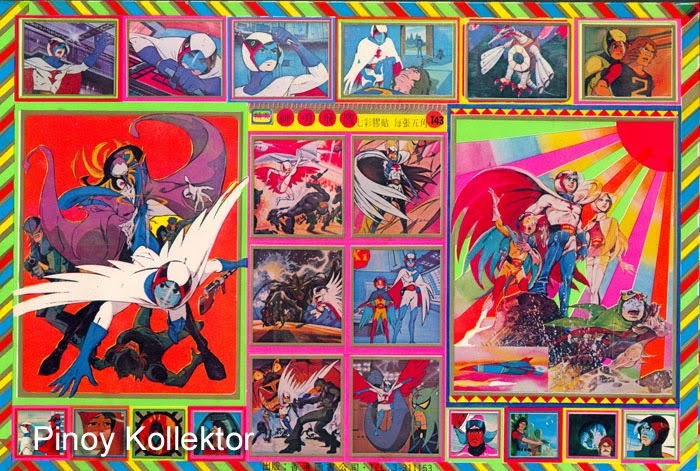 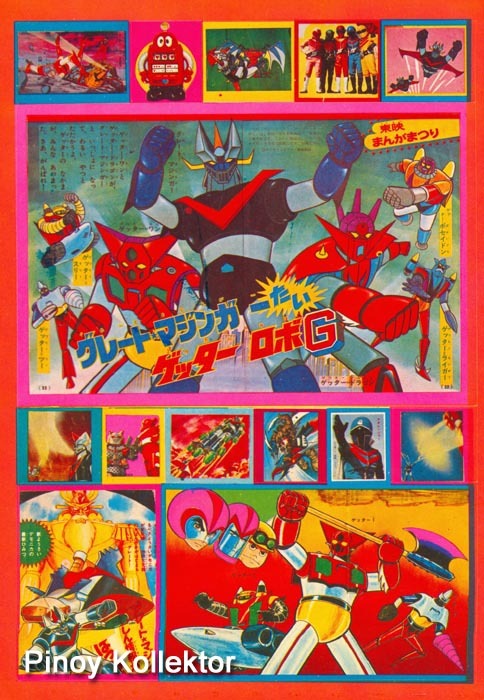 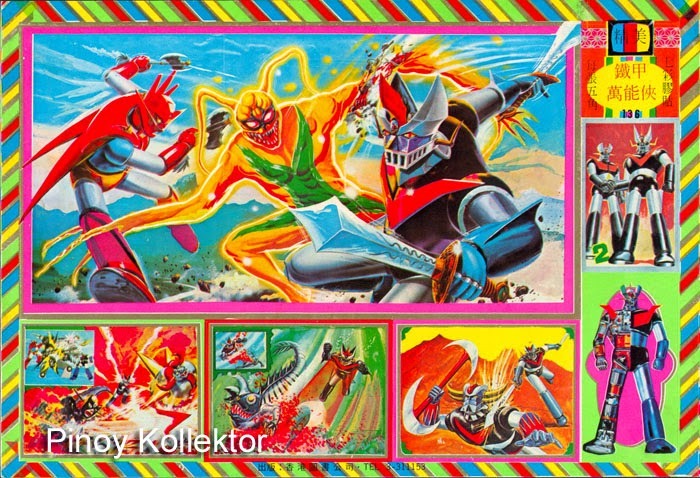 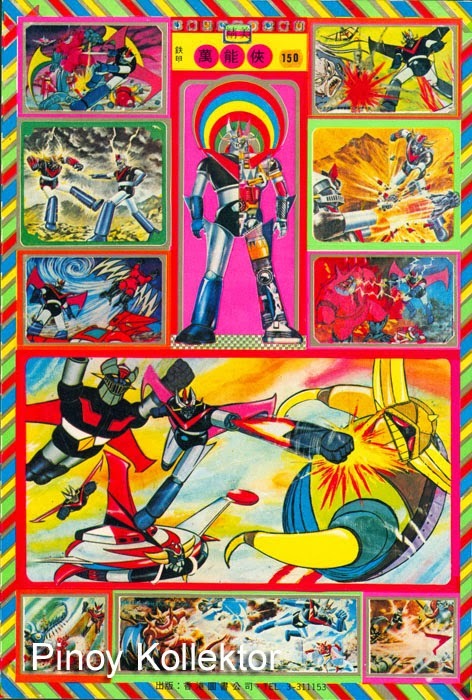 Who would forget - Voltes V, Mazinger Z, Mekanda, Grendizer, Dangard Ace, Star Rangers, Balatak, and G-Force? 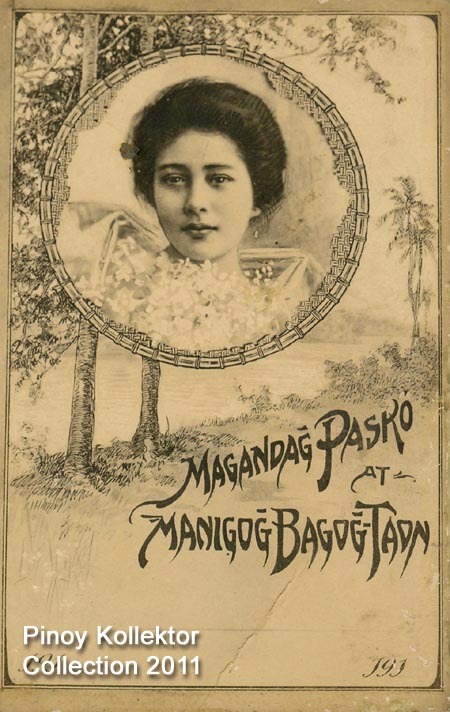 During my childhood days, I would buy them from Mang Ruben the vendor near the front gates of our school in St. James Academy, Malabon. 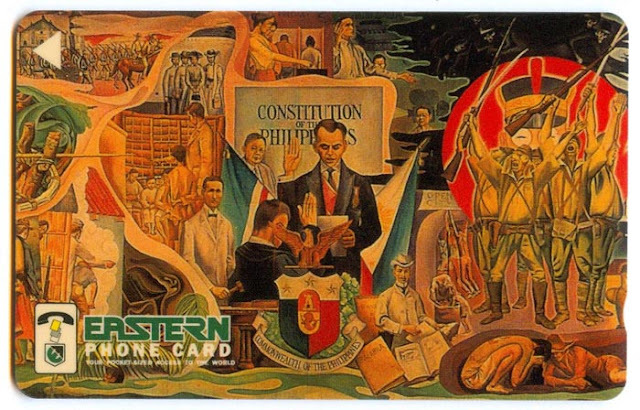 A whole sticker was cut into smaller pieces and depending on size it was sold for 20 - 35 centavos for the small ones, 50 - 90 centavos for the average sized stickers and 3-4 pesos for a whole page. 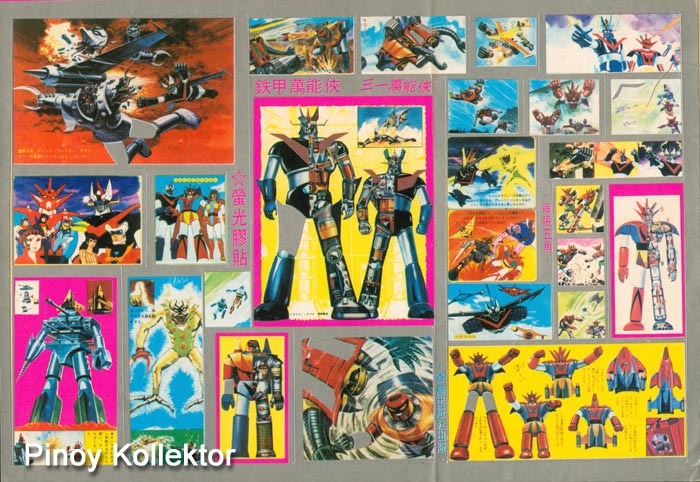 The more popular stickers like Voltes V and Mazinger Z would command a higher price than the unknown robot stickers. 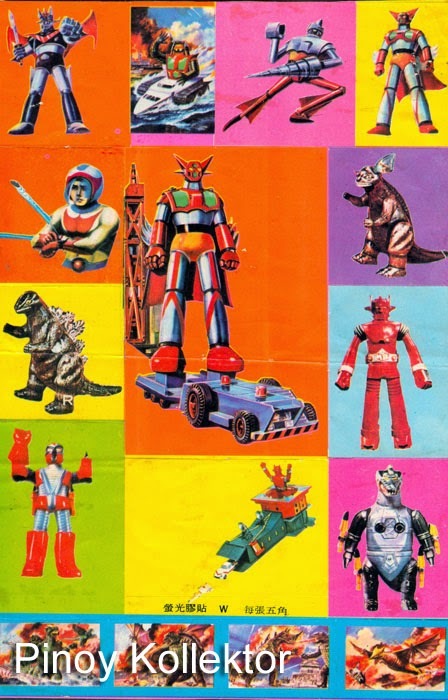 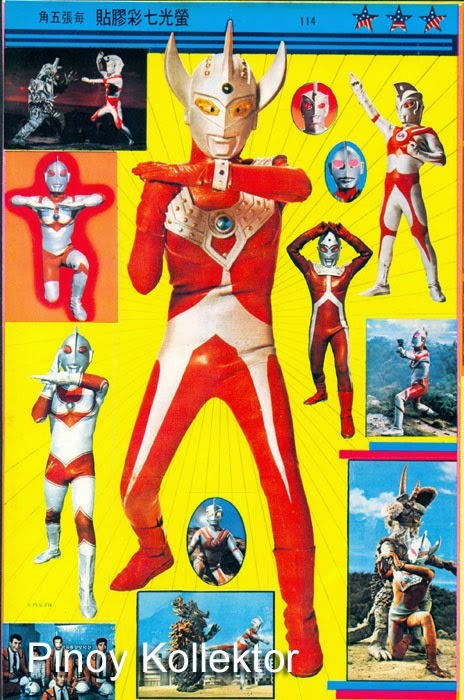 There are many strange looking robots and characters which were new to me because I am only familiar with the ones shown on TV. 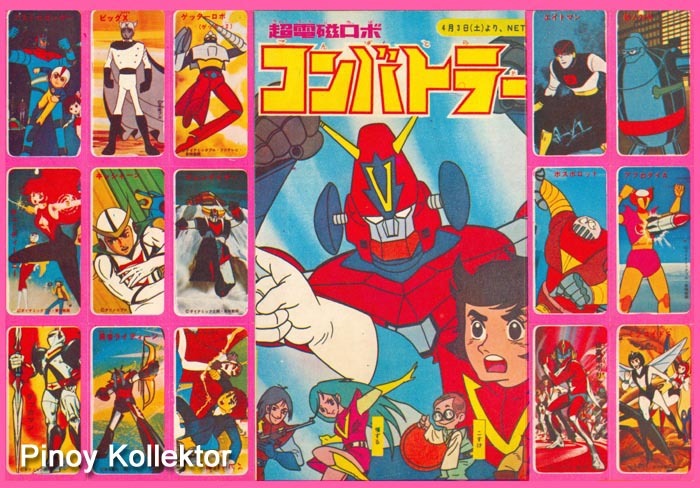 Looking at these stickers I would wonder what is the relations of Great Mazinger with Mazinger Z … are they brothers or the latter’s father? 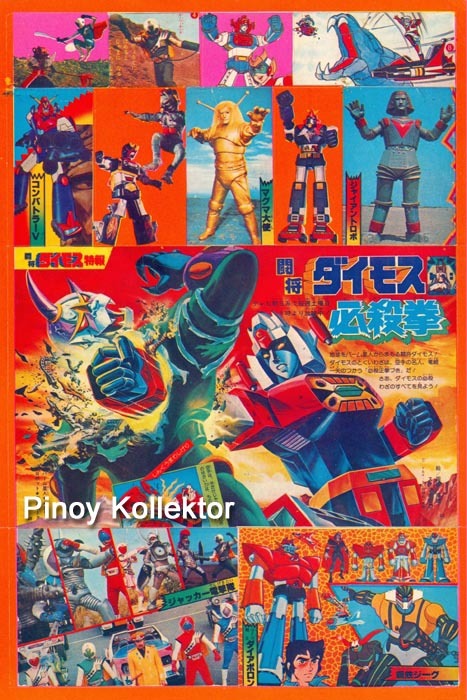 What is the relationship Voltes V with Combattler V? 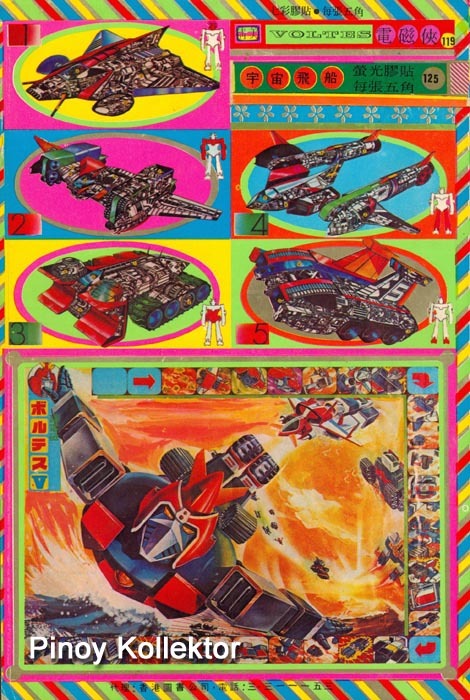 They look the same and their individual spaceship looks alike. Then the dreaded thing happened, Pres. 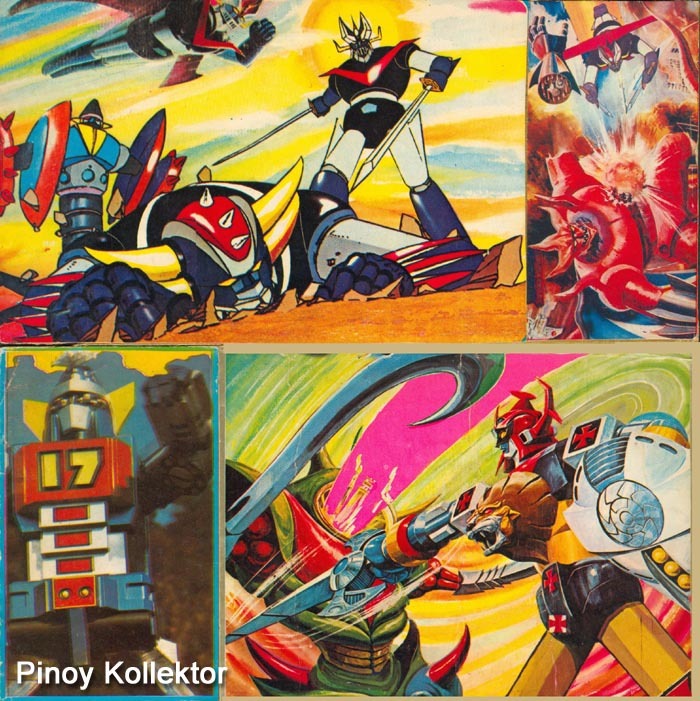 Marcos, the dictator of the Philippines, cancelled all these shows. 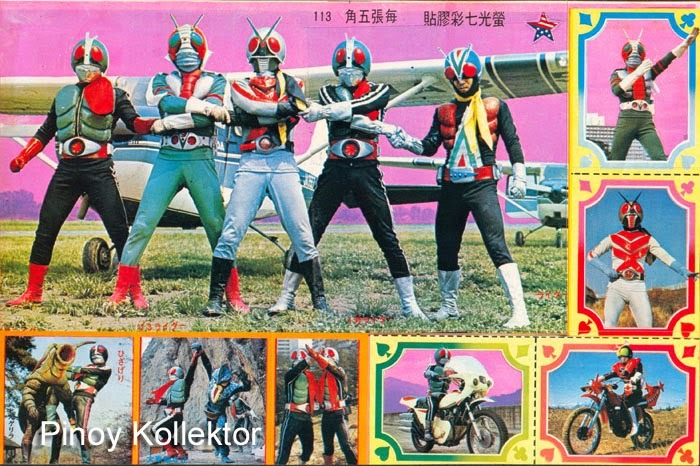 I have so many questions then that were left unanswered. 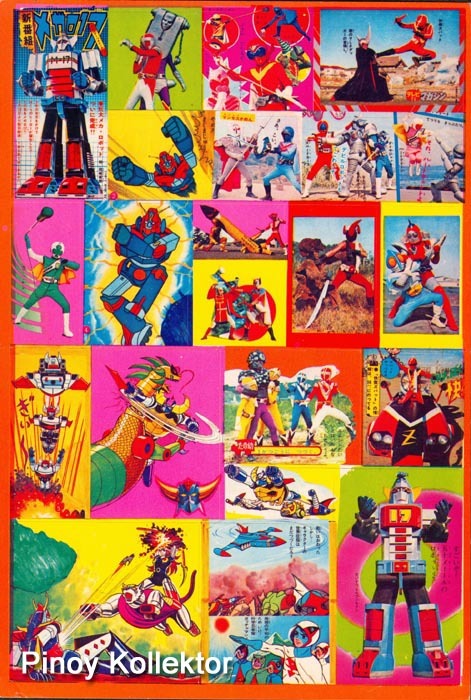 By looking at these stickers, all I can do is imagine a story on what happened with my favorite robots. 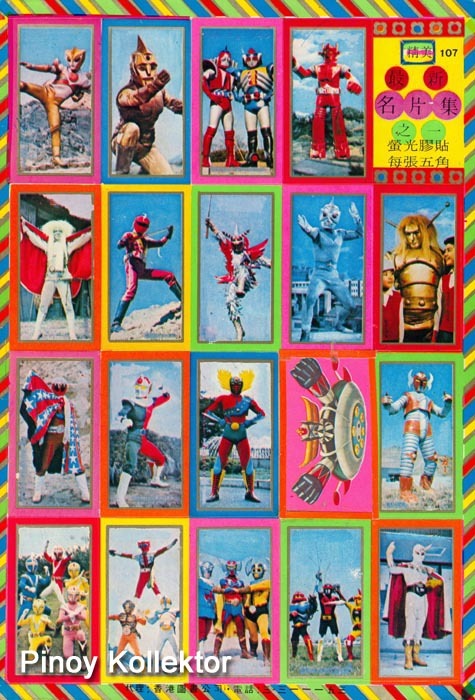 I was lucky enough that a friend shared these and sold it to me. 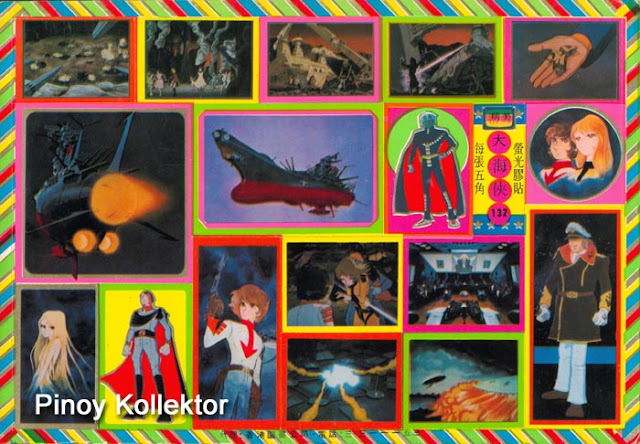 These stickers are great and fan reminder of my past and I would like to share them with you.